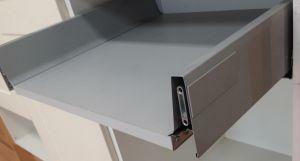 Blum Metabox complete drawer box. Economical, sturdy metal sided replacement drawerboxes. 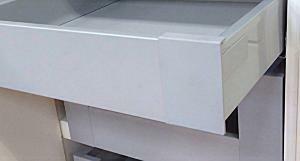 Complete kit comes with drawer sides, drawer runners, base panel, back panel, screws and fitting instructions. 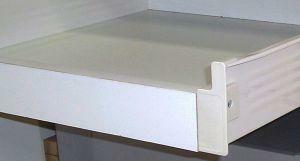 Blum Tandembox complete drawer box with SOFT CLOSE. 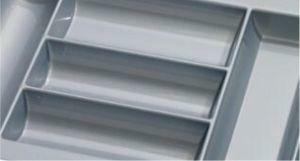 Feather light gliding, full extension drawers. Select from shallow or deep sided options. 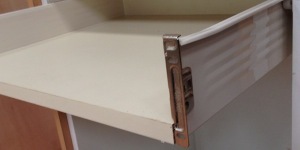 Change your shelved base unit into a drawer unit and keep the existing door. This set up gives you much easier access to items in the base unit. 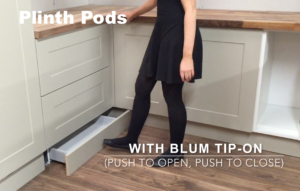 Blum Metabox INTERNAL drawerboxes. Solid and sturdy internal drawerboxes. Select from shallow or deep sided options. Complete kit comes with drawer sides, drawer runners, base panel, back panel, internal drawer front, screws and fitting instructions. LIFETIME WARRANTY. Blum Tandembox INTERNAL drawerboxes. Smooth running high quality internal drawerboxes with soft close. Select from shallow or deep sided options. These cutlery trays are an excellent fit for many of the common drawer sizes. If you do not find the standard size drawer you are looking for from the links below, click here to order any made to measure drawer or drawer saver pack.